Quality is becoming an increasingly important factor for manufacturers. Current repair projects demonstrate the complexity of the supply chain and the risk of remedying defects. The costs are considerable and the project management for scheduling, liability questions, communication, logistics, outage payments and the actual repair process itself calls for special know-how and skills. Suncycle offers a one-stop service, from project management through to execution. But Suncycle is also the right partner for standardised after sales processes. As a full-service provider, we offer the complete spectrum of involved processes, from a hotline through to 1st, 2nd and 3rd level support. Suncycle assumes responsibility for the entire package through complete outsourcing for some module manufacturers. This includes not only a continuous ticket system but also the responsibility for the logistics. 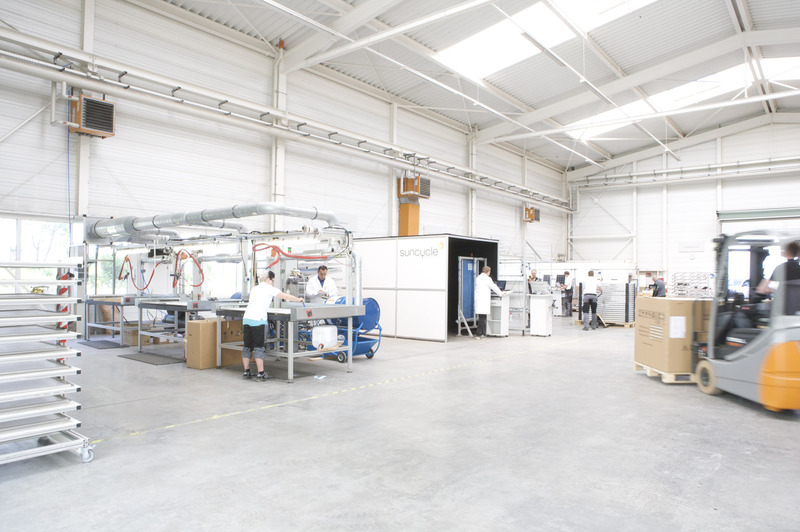 Whether modules, storage solutions, inverters or electronic components – Suncycle has the know-how to implement individual requirements as the manufacturer intended. One thing applies for all forms of cooperation: we fit into your process chain perfectly so that you have maximum transparency and complete control. Specialized on after-sales management for photovoltaic manufacturer offers Suncycle the complete value chain. From the multi-lingual technical hotline to the 1st to 3rd level support to on-site repairs and spare parts management. Suncycle offers all standard test and inspection procedures for PV components. As mobile solution or in our central PV center. Individual test requirements can be agreed individually. All work steps are based on international standards and norms. The results are processed in an interface-open ticket system and reported to the customer in detail on serial number level. Sometimes defective cent products from suppliers or unforeseen production problems lead to systematic defects affecting thousands of units. Suncycle has a proven track record of offering discreet and professional support for managing international service projects. We take reputation of our customers seriously and take responsibility to deliver their brand name through our services. Suncycle’s service teams respond to manufacturers in a rapid, focused and effective manner and aim to minimise production issues at customer sites. In addition to the after-sales service for PV manufacturers Suncycle offers extensive logistics services. With our centrally in Europe located PV center we offer attrative rates for the handling and delivery of spare parts. Use Suncycle to manage your inventory and function as the logistic hub for your partner network.